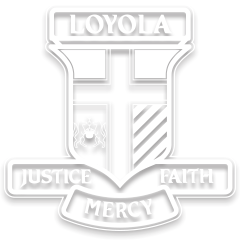 As a founding member of the Association of Co-educational Schools, Loyola College has fielded teams in ACS competitions since 1998. Loyola fields over 50 sport teams each week, during the Summer and Winter seasons, providing a vast array of opportunities for students from Years 7 to 12 to compete against students of like ability in good spirited competition. Year 7 and 8 Sport is held on Tuesday afternoons, Senior Sport takes place on Wednesdays and Year 9 Sport is played on Thursdays. Loyola students are required to be available to represent the College on these afternoons. Selection in a Senior Firsts core ACS Sport serves as recognition that a student has graduated to the highest level of ACS competition, after developing their skills in age group teams in Year 7, 8 and 9. In addition to weekly sports, Loyola competes against the 6 other member schools in major carnivals in Swimming (Term 1), Athletics (Term 2) and Cross Country (Term 3). Selection in these squads is based on performances in House Carnivals and further trials conducted during training in the weeks leading up to the carnivals. A lightning premiership is also conducted in Girls Football (AFL). Currently, Loyola has 10 inductees in the ACS Hall of Fame, recognising students that have participated in sport at the elite/national level. Click here for the ACS Fixture for 2019.